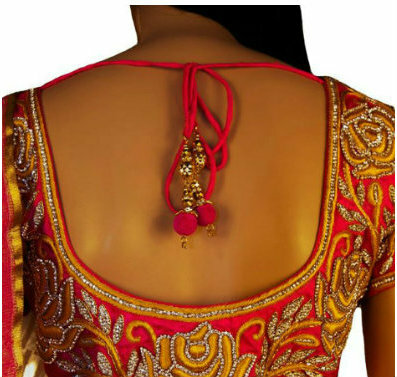 If you choose this V back neck, you get a choice to attach tassels or get border design at the back or be extra creative with the designing as shown in these pictures. A short U neck design also hides your bra straps and gives an elegant look to your outfit. One of the most famous designs is the pot neck design. 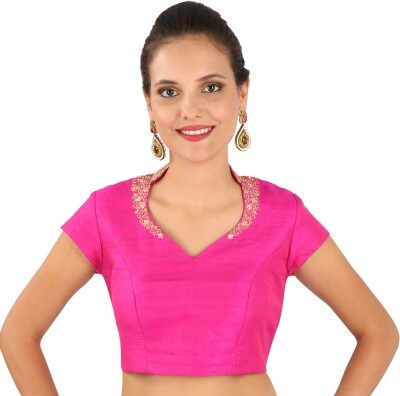 If you are bored with the regular blouse designs, you can opt for this one and perhaps add a knot at the back. 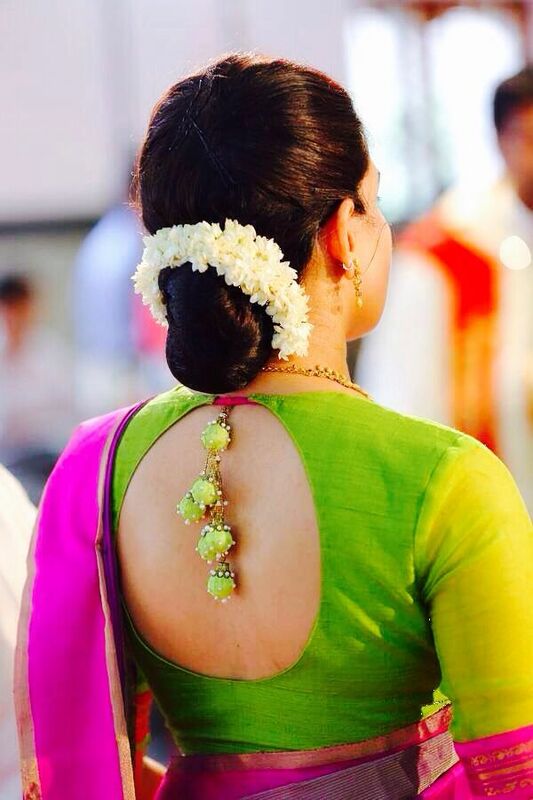 Asymmetric back neck design is for those who want to get a different and unique look for every blouse they own. If you look at the neck back design catalogue of asymmetric back neck designs, you’ll find dozens of creative designs under it. More like deep neck and backless blouses is this round back neck design. If you want to flaunt your back but not too much, you should definitely go for this chic design. 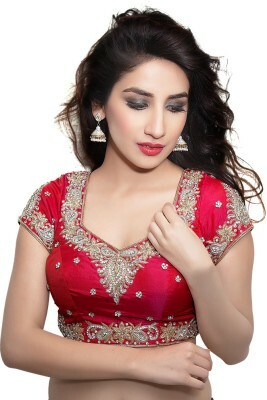 Most trending these days are the back bustier blouse designs. From strapless to spaghetti design, back bustier blouses can be opted by the ones who want to give a modern look to their ethnic outfit. Very elegant and a bold choice would be this rocket cut blouse design in which the back clothe is folded to give the look of those beautiful creases.